While the novels of the Bronte sisters are much beloved, their beautiful works of poetry often go unnoticed. 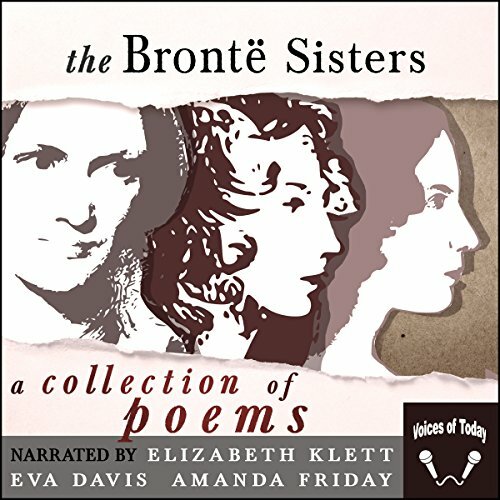 This collection contains all their poetical works, pieced together by Charlotte, who provides illuminating commentary on her dear sisters' words. Featuring Elizabeth Klett as Charlotte Bronte (Currer Bell), Eva Davis as Emily Bronte (Ellis Bell), and Amanda Friday as Anne Bronte (Acton Bell). Audio edited by Amanda Friday. Cover image designed by Eva Davis. Really interesting collection of poems, wonderfully narrated. I appreciated the different narrators voicing the different poets. Each narrator had a charming voice. The poems were lovely and thought-provoking.